In 2012 I co-presented a poster at the SVP annual meeting on a new plesiosaur from Lyme Regis, UK (see my article about it here). The long awaited follow up paper was finally published this summer in the latest volume of Palaeontographica A (Smith and Araújo, 2017) and the beast now has a name, Thaumatodracon wiedenrothi, meaning ‘Wiedenroth’s Wonder Dragon’. 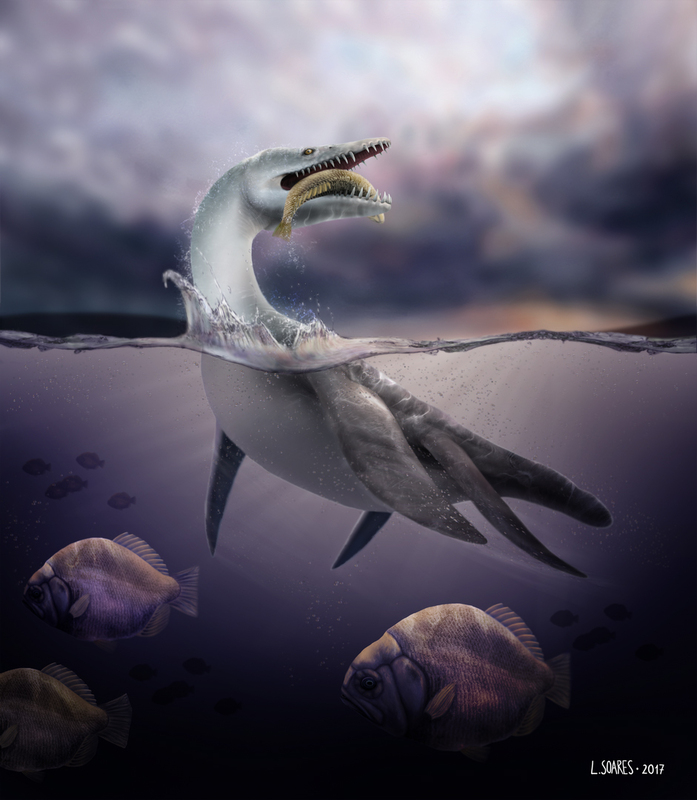 Thaumatodracon was a top-predator that cruised around the shallow Tethys Ocean that covered Europe about 195 million years ago. It had a 60 cm long skull with dozens of sharp teeth, an estimated total body length of 6.5 m, and may have weighed around 2 tonnes. The specimen was collected from Lyme Regis in 1969 by Kurt Wiedenroth, an amateur German palaeontologist to whom we dedicated the new species name. The Niedersächsisches Landesmuseum Hannover (Lower Saxony State Museum) acquired the specimen later that year where it was subsequently prepared by Elijah Widmann during the 1990s. 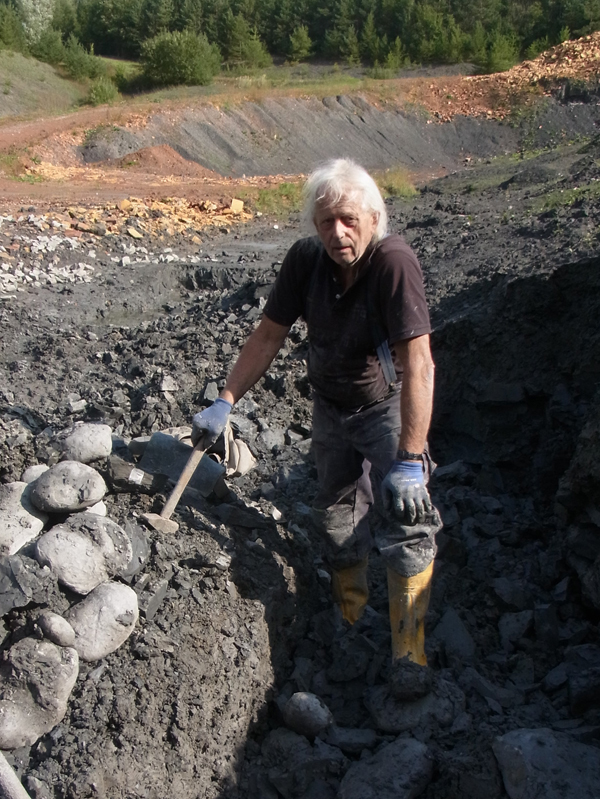 Kurt Wiedenroth hunting for ammonites in Lower Cretaceous deposits near Hanover, Germany. Kurt discovered Thaumatodracon wiedenrothi in Lyme Regis in 1969. Photo courtesy of Sönke Simonsen. The nearly complete skull and neck of this plesiosaur are exquisitely preserved, and Ricardo Araújo and I visited the Lower Saxony State Museum in Hanover in 2011, where we identified it as a new species that fills a gap in the fossil record of rhomaleosaurids. Diagnostic ones, anyway. The holotype of ‘Plesiosaurus’ macrocephalus, also from Lyme Regis, could well be a rhomaleosaurid, but since it is a juvenile it is difficult to diagnose. Our findings in Hanover were too late to include in my PhD thesis dedicated to rhomaleosaurids, but better late than never. 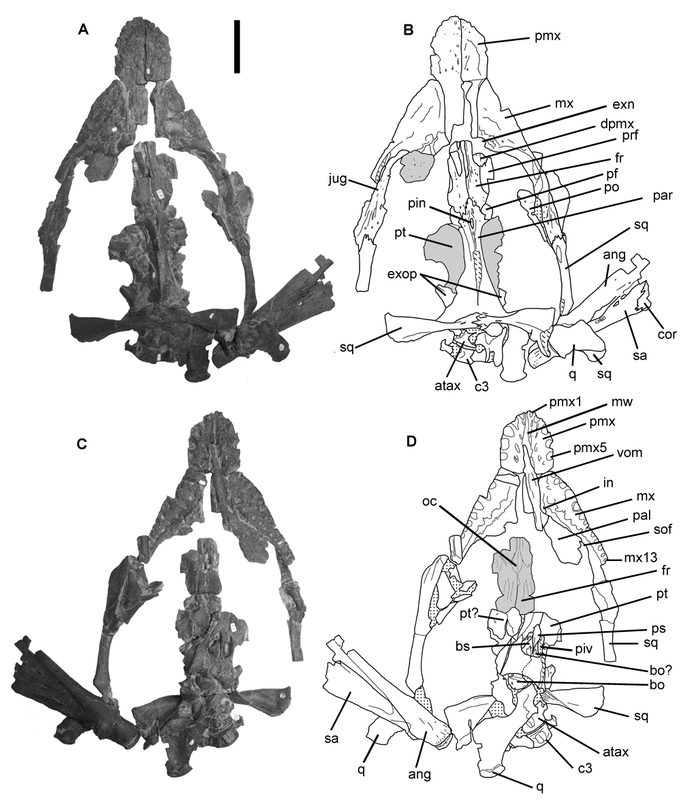 The holotype specimen, laid out in dorsal view. In addition to a thorough comparative description, we conducted morphometric analyses to compare Thaumatodracon to all other rhomaleosaurid plesiosaurs. 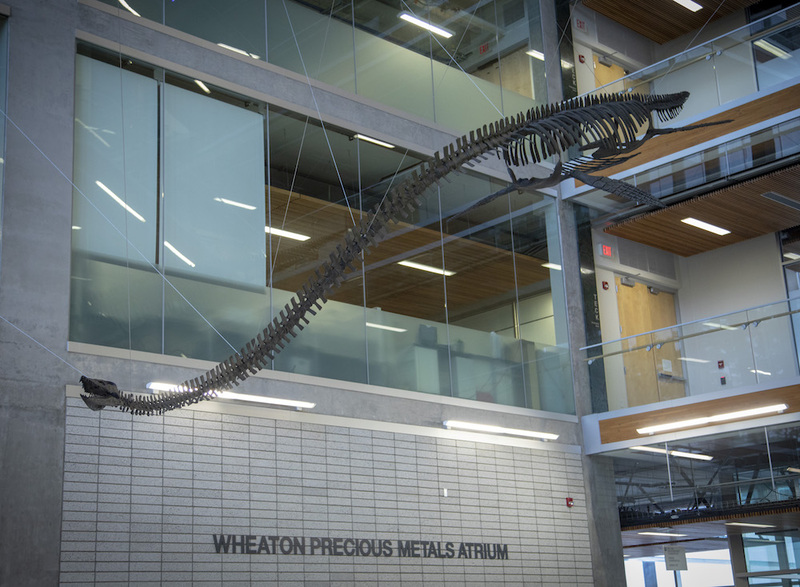 We found that the new taxon possesses transitional characteristics that are consistent with its intermediate position in the plesiosaur family tree. This is also more or less what we would predict to find because it is from the Sinemurian, which makes it stratigraphically intermediate between the older Hettangian rhomaleosaurid fauna (Atychodracon) and younger Toarcian rhomaleosaurid fauna (Rhomaleosaurus, Meyerasaurus). The new genus is a nod to ‘Thaumatosaurus’, a powerful name that was once used interchangeably with Rhomaleosaurus. It was also widely applied to the holotype specimen of Meyerasaurus victor before I came along and made ‘Thaumatosaurus’ a nomen dubium (see my article about that here). So, I chose the name Thaumatodracon as atonement, but also because plesiosaurs were true wonders of the prehistoric world and Ricardo and I wanted to give this new species a name to reflects that. Rhomaleosaurids have traditionally been regarded as pliosaurs. Although we called Thaumatodracon a pliosaur in our original poster presentation, the position of Rhomaleosauridae within Plesiosauria has since become disputed. 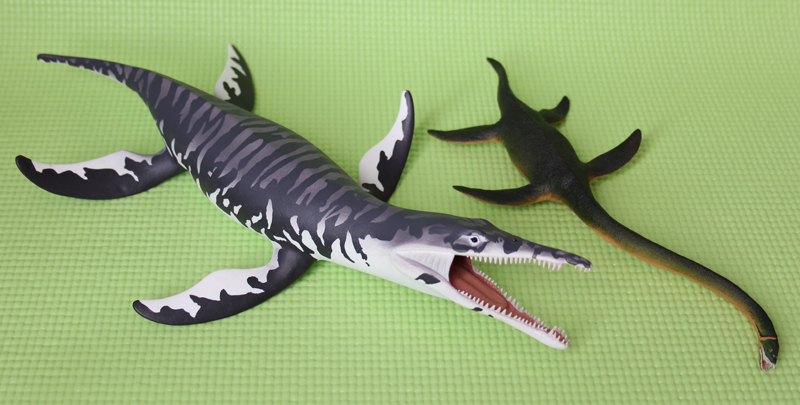 Several studies now suggest that the rhomaleosaurid family diverged from other plesiosaurs before the pliosaur/plesiosauroid dichotomy, which is why we avoid calling Thaumatodracon a pliosaur in our paper.